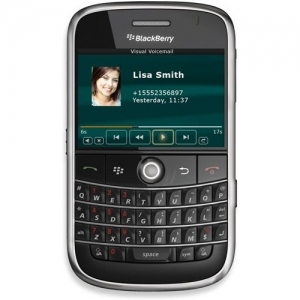 Communology brings visual voicemail to BlackBerry, Windows Phone 7 | BlackBerry Blast! Communology has announced that its Visual Voicemail (VVM) solution is now available for use with BlackBerry and Windows Phone 7 smartphones. The voice-to-text solution is also available as a widget, making it accessible to other smartphones as well. As you know, with visual voicemail you can choose to listen to the message you want to hear instead of having to listen to all messages in order.